There is a collection of “classic comments”… Below are samples of what I hear from time to time from practitioners, office managers and receptionists about the age-old and ever-popular Word-of-Mouth advertising (WOM). It’s still a bit of a shocker to hear comments like these. It makes me wonder if they originate in a retro healthcare marketing world that’s different from everywhere else. Perhaps a reality that’s not constantly changing, competition is non-existent and new patients are clambering to get in the door? “WOM is the best form of advertising.” Well, it’s good, but it doesn’t stand alone. Delivering a positive patient experience or outcome does not assure a testimonial, a recommendation, an endorsement or a referral to a friend or relative in need. WOM advertising requires a continuing program to ask for, inspire and support referrals. “The only marketing I need or want is word-of-mouth advertising.” This is wishful thinking…with a dash of denial. 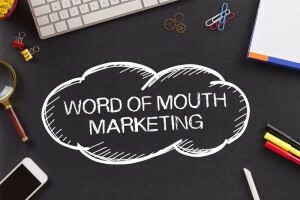 Word-of-Mouth advertising is a product of a deliberate marketing program, not a substitute for one. Real or imagined, WOM is not a justification for avoiding other marketing and communications tools for your practice. “I’m really good at my profession, and word will get around.” I’ve met world-class practitioners who were virtually unknown to the people who needed their skills and service the most. Being good, even great, does not spontaneously produce referrals. “I want an all-referral practice…” First, see all above. A referral-based practice is a worthy goal, but WOM alone will not “carry the day.” There is nothing automatic about it. WOM comes from relationships, not from the sky. Practices, which depend heavily on referrals continually foster and grow relationships from professional sources. Likewise, referrals from patient sources demand constant cultivation. Word-of-Mouth is neither a panacea nor a magical alternative to a well-considered marketing plan.